So, technically Sunday was when I scored this group but the title works better today! Just a quick show of what $8 got me. Got a box in the mail today from Pixel and it was full of goodies. Remember May 10th? 510 Day! I won! I won the 510 Day contest and I received my prize in the mail from Plasticprints (II) and was surprised by the contents. Not one to simply send one vehicle by itself, he went ahead and added a few more! 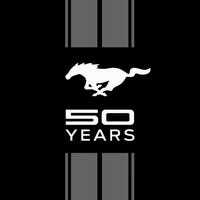 Yes, today is National Mustang Day, April 17. On this date back in 1964, the Mustang was introduced to the world at the New York World’s Fair. So I bought a Shelby Mustang GT500 Super Snake from Frosted and had to show it off in its new home. But first, let me just say, thank god Frosted packed the hell out of it. Found this 1/24 diecast Ford Shelby GT350R at Hobby Lobby this past weekend. Decent for $13 with the discount and a step below Maisto, but come on! Gt350R! Diecast! From an ongoing trade with The Bell King, I have received another box of goodies! Let’s dive in! So our LaLD friend, WitheredCustomz, ran an IG contest and I won! And boy, did I win! But first, if you don’t follow him, give a good long look at @witheredcustomz. He does some excellent custom work as many of you know and he deserves a Follow from you all. In keeping with the spirit of the day, I thought I’d go ahead and post my find. My Target has been getting old stock and they just got their third case in. I had a MoonEyes 8Crate laying around when I came across a Bizarro 8Crate with real riders. So a new set of shoes was in order. Enjoy!